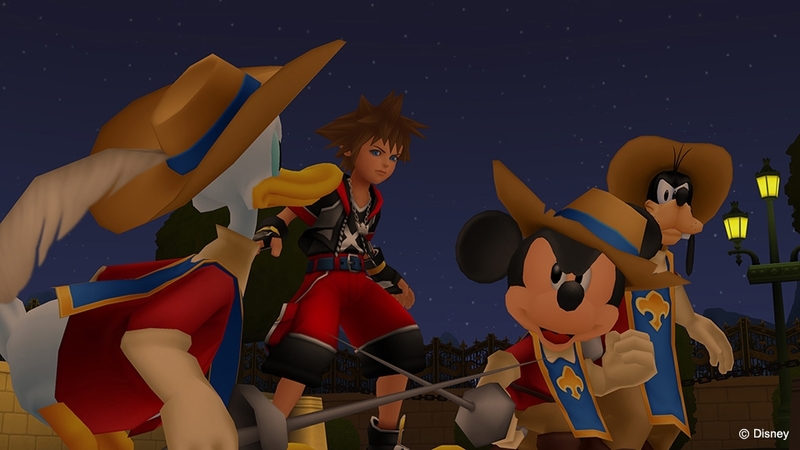 Kingdom Hearts III is on its way, and Square Enix wants you to get excited. To accomplish that, an upcoming patch will be removing the previously-implemented share blocks on the Kingdom Hearts PlayStation 4 compilations. The patch will go live on October 25, 2018 at 3 PM JST. When Kingdom Hearts HD 1.5 + 2.5 ReMIX and Kingdom Hearts HD 2.8 Final Chapter Prologue were released for the PS4 in 2017 and 2018, respectively, they came with some sharing restrictions. While not prominent, use of the share button was restricted in certain key moments throughout the compilations. The reason for this was to allow players who haven’t played the Kingdom Hearts games to catch up before III releases, but not spoil people. There have been workarounds for this, but it’s nice to see the effort put in to officially remove the blocks. Of course, if you haven’t caught up with the Kingdom Hearts series, a new complication has just been announced that will allow you to do just that. Kingdom Hearts – The Story So Far – will bundle all of the Kingdom Hearts games in one package. Kingdom Hearts III is releasing on January 29, 2019, although plenty of screenshots and trailers have been released to get you excited.